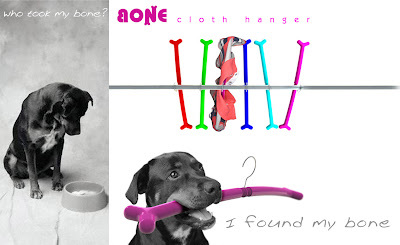 “BONE” is a garment hanger which your pet dog would love. The form of the hanger provides support at the end, specially to women’s garment, to avoid them slipping off. “BONE” is available in bright colors.